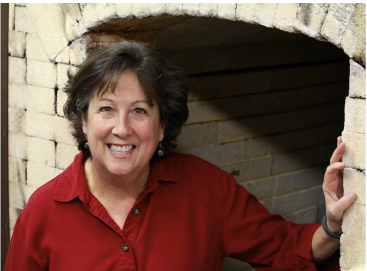 Martha Cook has an MA in Ceramics from the University of Louisville and has been making pottery for more than 30 years. Currently, Martha is the Assistant to the Pottery Director and a Pottery Instructor at Callanwolde Fine Arts Center in Atlanta, Georgia. She likes making functional pottery you will enjoy using in your home. Using both wheel and hand-building techniques, she incorporates texture, patterns, and glazes that are enhanced by the spontaneity of atmospheric kilns.